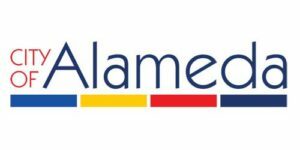 The city of Alameda Public Art Fund has awarded a grant of $5000 to the Island Alliance of the Arts IAA 501(c)(3) to promote the Second Friday Art Walk. In order to make the most out of this grant, we need to supplement it with corporate sponsorship. We currently have two media sponsors: East Bay Express and Digifli. Between these two organizations, we are launching a media campaign for 2019 worth well over $25,000. This includes multiple print runs in the East Bay Express and Alameda Magazine. Thousands of printed postcards, posters, and outdoor banners. There is also a massive social media and website campaign that will show thousands of impressions. This is a great way for local businesses to support the local arts and the local business community. Our goal is to make a lively second Friday event that benefits all of Alameda and businesses on both the East and Westside of the island. 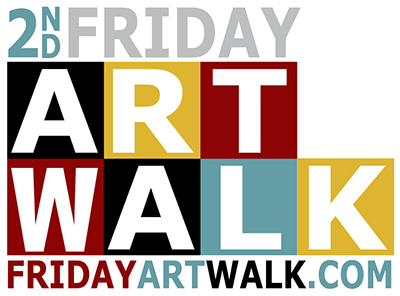 We are looking for corporate sponsors to help support the art walk. All donations are tax-deductible to the IAA 510(c)(3). It will also put your company logo in front of several thousand east bay citizens and thousands of bay area businesses. Corporate sponsor packages are offered in the following formats. If you would like to propose another type of partnership, please feel free to contact us. Your Company Logo prominently on all marketing materials and promotions. Distribution of your company promotions at all event locations. Links on our website and all social media properties and promotions. Logo on banners. A large portion of postcard back for your message. Full page ad in the Summer Art Walk Guide. Your Company Logo on all marketing materials and promotions. Distribution of your company promotions at key event locations. Links on our website and all social media properties and promotions. A portion of postcard back for your message. Half Page ad in the Summer Art Walk Guide. Your Company Logo on most marketing materials and promotions. Distribution of your company promotions at some event locations. Links on our website and all social media properties and promotions. Quarter Page ad in the Summer Art Walk Guide. Listed and linked on our sponsor website page. Special thanks and listed on social media. Listing in the Summer Art Walk Guide.